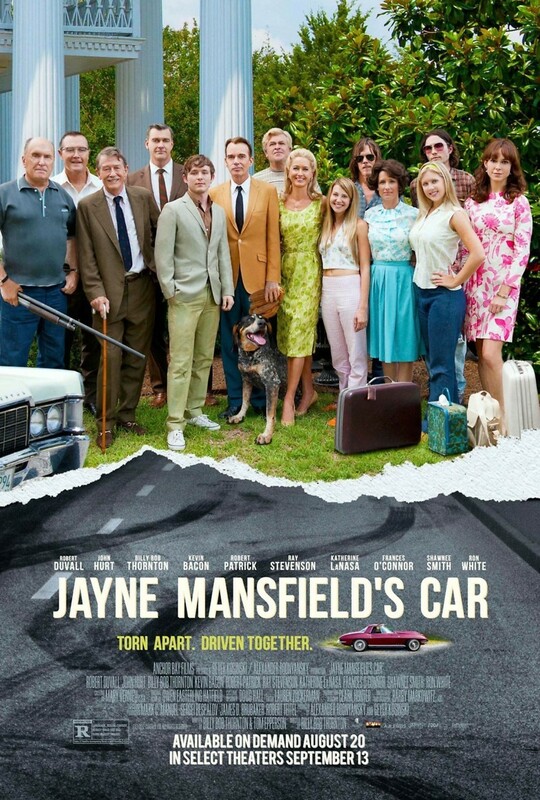 Jayne Mansfield's Car DVD and Blu-ray release date was set for December 10, 2013. Although shot on location in Georgia, this comedy/drama is set in Alabama in 1969. Three Caldwell brothers, along with their father, all veterans of the first and second World Wars, find their values and viewpoints challenged by a family visiting from London after the Caldwell patriarch's estranged wife and mother to their three sons dies. Each family member seems to be expert at scratching at past scars, but whether or not dredging up the past will expose important truths to the light of day remains to be seen.